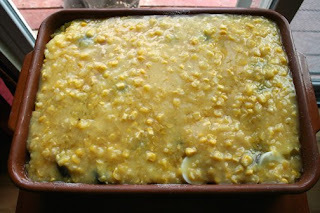 Here's a healthy traditional Chilean dish that is favorite of many locals. It is light and ideal for the summer. Vegans can leave out the chicken. Meat lovers may add more ground beef instead of chicken. Fish lovers may substitute salmon. All photos (C) 2009 by Christopher J Davies. All rights reserved. the milk little by little, stirring constantly until the mixture thickens.